Bring cheer and joy to your nearest and dearest with this beautiful Christmas ensemble. Youâ€™re not just sending a floral gift but the full local florist experience. Amazing flowers and a surprise delivery guaranteed to put a smile on someone’s face. 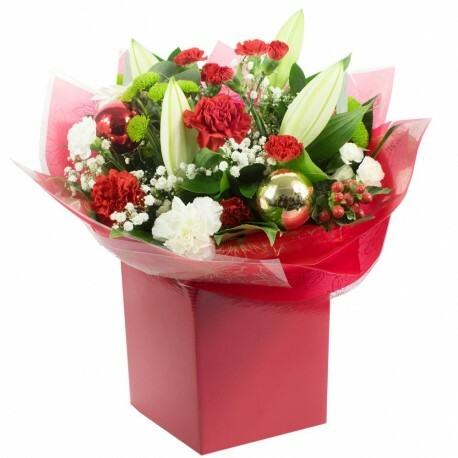 The arrangement will feature a florist choice selection of Red Spray Carnation, White Oriental Lily, White Spray Carnation, Gypsophila, Red carnation.